We help raise funds to support organizations that benefit and enrich the lives of children, teens, and adults with special needs. The Kahuna Cares Foundation was founded in tribute to the late Terry “Tubesteak” Tracy. Tubesteak sparked the inspiration for the role of the “Big Kahuna” in the Gidget movie craze, whose character was portrayed by actor Cliff Robertson. 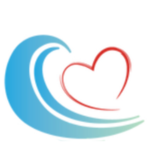 Kahuna Cares honors his legacy of love for others by raising money for organizations that support children, teens, and adults with special needs.